My name is Audrey Meubus, but everyone knows me as Audrey Em. 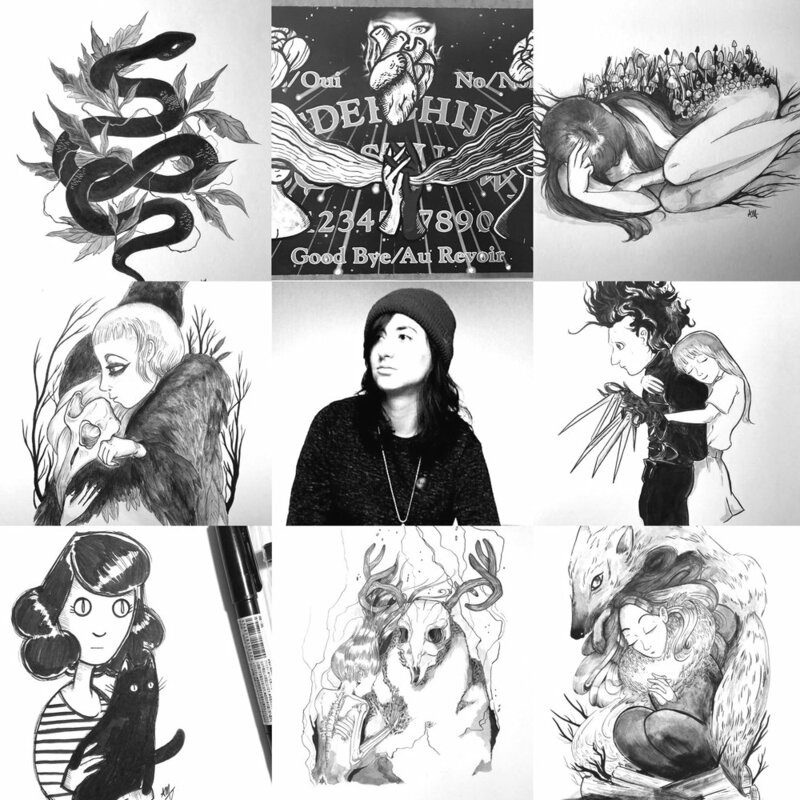 I’m a storyteller and illustrator from Montreal, with a degree in Film Animation from Concordia University. I have experience cinema and communications, as a writer, character builder and digital storyteller. I started telling stories as a kid, inspired by a steady diet of cartoons, books and movies. My work speaks from the heart, exploring the darker side of life, our (dis)connection with nature and the supernatural.